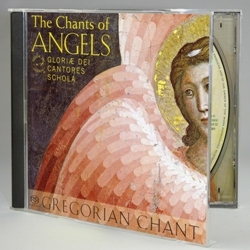 Using the ancient melodies and texts of the early church, each chant in this collection by Gloriæ Dei Cantores Schola depicts a new aspect or story of these heavenly guardians, guides and friends, from the most intimate plea to our own guardian angels to the great announcement made to the Virgin Mary by the Archangel Gabriel. 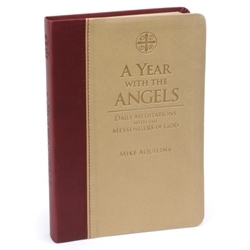 For those who are new to Gregorian chant and for seasoned scholars, The Chants of Angels allows listeners to simply close their eyes, and be surrounded by these songs of prayer and comfort — just as they are surrounded by angels. For a track list and audio samples (using your Windows Media Player), select the MORE PRODUCT INFO tab below. To hear samples from this CD on your Windows Media Player, just click on SAMPLE. I kept one for myself and gave quite a few as gifts. Everyone (including non-Catholics) are enjoying the CD greatly. Thank you.